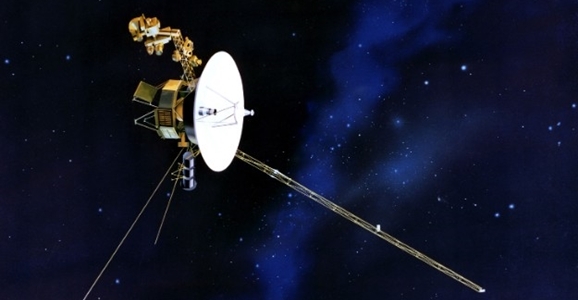 The Voyager 1 probe made history last month when scientists agreed that it had finally, officially ventured beyond our solar system and entered interstellar space. 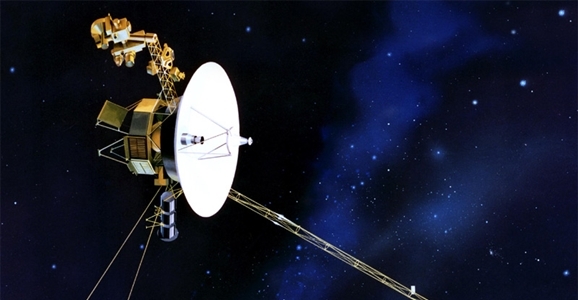 Even if Voyager’s distance traveled is not even a gnat’s eyelash when considered against the unfathomable scale of our universe, it was still an exciting landmark, one that reminds us that our species is capable of great accomplishments when we’re not so facedown in the mud that we lose sight of the stars. You’ve all probably heard of the so-called “Golden Records” that were included on the Voyager craft. They contain tons of images, sounds, and information about our species and our world, designed to serve as a sort of time capsule of who and what we were at the time we sent Voyager 1 and 2 off into the void. They also contained copies of a letter from then-President Jimmy Carter, a greeting to any extraterrestrial explorers who might someday cross paths with Voyager. (Admittedly, a very unlikely scenario given the sheer size of our galaxy, and the comparative tininess of Voyager. But you never know.) While the aliens obviously wouldn’t speak English, the many different languages included on the Records would theoretically serve as a sort of Rosetta Stone to help them interpret our messages. 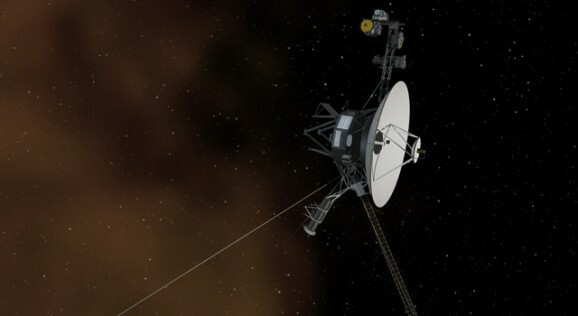 The Voyager 1 spacecraft is the first man-made craft ever to leave the solar system and journey into interstellar space. It’s been exploring the cosmos for some 36 years, and is now venturing into far-out territory. Scientists monitoring the craft know that it’s moving through interstellar plasma, which is far denser than solar plasma. No one knows exactly what’s out there, but one thing we’d all probably suspect is that space is dark, cold, and eerily quiet. We might have two out of three right, but apparently interstellar space isn’t the soundless expanse we’d expect. It does have a sound — and a really creepy one at that. It reminds me a bit of the screech of Babylon 5‘s Shadow vessels.